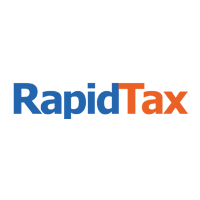 RapidTax.com was fast, EASY, and convenient! They simplify the process into short *crystal clear* steps that only apply to your situation - fantastic. I tried TurboTax. It kept directing me to a 1040 which I clearly did not need. I’ll be back here next year. Thanks for the great job! My tax returns are so much easier to complete than on TurboTax. I even recommended my roommate use your service!